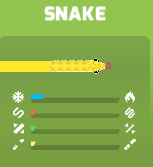 ​Default Curve - ​the one and only Snake​! 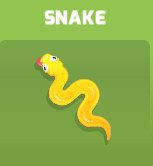 ​All beginners start with the Snake! As a result, most are familiar with it. But let's first describe the 4 statistics that are available to you before purchasing a curve. It will certainly make your shopping decisions easier. 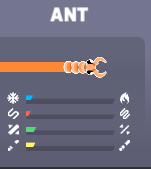 ​The Ant is the cheapest curve in the game. It has an identical turn radius to the Snake; however, it is a bit slower. Also it is relatively thinner compared to the Snake which allows it to sneak through slightly tighter spaces. For general knowledge - a slower and thinner curve is better at maximixing available space while a faster curve is likely to outpace its opponents. 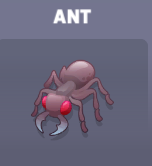 Lastly, the Ant has a slightly smaller hole size relative to the Snake ​which allows for greater defense. Nice upgrade for just 50 coins! 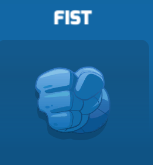 The Fist ​is the second cheapest curve in the game. In terms of stats, it's slightly faster and has a smaller turn radius compared to the Ant. When it comes to thickness and hole size it's practically identical to the Ant. In terms of quickness it's about as fast as the default Snake​ - however if the Fist was to encounter a Firefly (Arena 1) or Pumpkin (Arena 1) on the playing field, it would be simply outpaced. Ultimately though it wouldn't be too noticeable because there is not much variation in statistics between beginner curves. 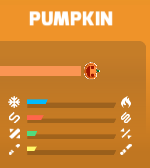 The Pumpkin ​is unique compared to the Snake, Ant, and Fist ​because it has a smaller turn radius. This can come in handy when navigating through high-traffic areas or simply filling the very-core of your camp. In terms of speed it's a bit slower than the Firefly and a bit faster than the Snake. ​However speed is not too much of a concern amongst the beginner curves. You'll start to notice more variation in speed as you purchase and play with more advanced curves like the Robot (Arena 2) or Rocket (Arena 3) for example. 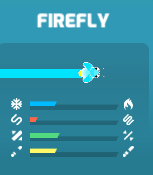 The Firefly ​is the fastest out of all Arena 1 Curves. Not only that - but it has a pretty big hole size and is quite thin amongst beginner curves; however, although it may be quite fast - it still has a relatively large turn radius (still smaller than the Snake and Ant though) which may make it a bit difficult to control while curving around in high-traffic areas. However its small hole size provides better defense ​when being attacked from multiple sides. 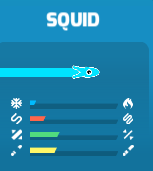 The Squid ​is the slowest of the Arena 1 Curves and thinnest which generally makes for a good defensive strategy. If you set yourself up with space you can then maximize the amount of area and spend more time in it due to being less quick. Thin is also pretty good for freestlyling in high-traffic areas - that is if you see yourself as a risktasker. In terms of speed, it's pretty much identical to the Ant​ - but is statistically better due to a bit smaller turn radius. 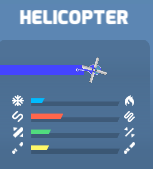 the Helicopter ​definitely has a hypnotizing animation! It has a pretty solid turn radius - although nothing exceptional. It's relatively similiar to the Lizard in thickness and hole size, but is a bit slower with a larger turn radius. Just to note that hole size is a matter of preference - smaller holes generally help with defense and bigger holes allow you to freestyle through your own holes while making less mistakes. From the Helicopter's viewpoint it's holes are pretty average, then let's say the Snail (Arena 3). The Lizard ​is quite superior compared to the Arena 1 Curves ​due to the fact it has a smaller turn radius. In high-traffic areas, the Lizard ​is efficient at making tight turns in order to prolong its life. 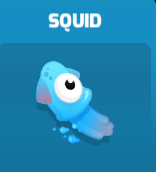 This is an ability that curves like the Firefly ​and Squid lack. 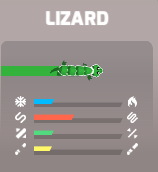 A general tip to keep in mind is that with a smaller turn radius the Lizard can better defend holes, or even go through holes to attack other players. Its speed aids the cause. However, with speed you generally run out of space quicker which is a downfall that the curves like the Helicopter and Robot don't have. 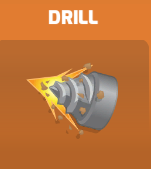 ​The Drill is similiar to the Lizard when it comes to turning radius; however, it is thinner, faster, and creates smaller holes. The preference between the two mostly comes down to the speed of the snake - do you prefer maximizing available space or outpacing oppponents? 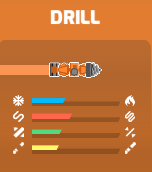 The Drill, being the second fast Curve in Curve Fever is 3 likely than all other Curves to be cut off by the fastest Curve in the game - the Rocket (Arena 3). You can classify the Drill as more of an aggressive Curve. ​The Robot is a very unique curve in the sense that it is so slow and so unbelievably thin to ALL Curves that came before it and leaves behind small holes! 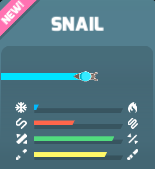 It ties the Snail (Arena 3) for slowest Curve. The Robot is the epitome of space maximization, right behind that of the Snail. If there are no aggressive threats like a Rocket or Drill in your line of sight, then you really prolong your space with the thin+slow combination. 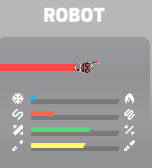 For example, let's assume that the Robot, the Ghost, and the Rocket have equal size camps and are all equally good campers. Who would win? the Robot would by far since it burns space incredibly slow. One negative though is that a slow Curve like the Robot takes longer to close a camp and smart players will pick up on this - especially in 1-on-1 combat. ​The Ghost thrives off its turn radius and thin combination - not as thin as the Robot of course but definitely more agile when it comes to turning in high-traffic areas. 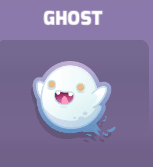 Advanced players that know how to play the Ghost well can usually survive for a really long time just swirling around the map efficiently - as a result maximizing a majority of the space. 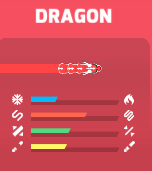 Of course this is assuming no bogus powerups - which can always cause rounds to end very early (triple red speeds, speed+reverse combination, etc.) 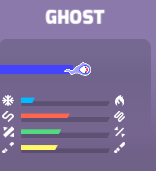 I like to say that the Ghost is an upgraded Lizard in terms of statistics. The Rocket is the fastest Curve in the game and is a huge threat to slower Curves, and even semi-fast Curves as well. 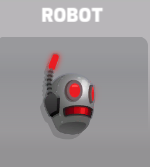 When playing against the Rocket, it's ideal to stay away from it - especially if you are a Snail or Robot for instance. 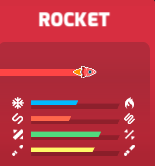 The Rocket's main weakness is that it burns space really quickly - so unless the player is exceptionally good, they shouldn't be able to survive into the late-game. 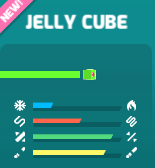 However since the Rocket is the third thinnest Curve in the game (behind the Snail and Jelly Cube), it always seems to have a planned escape-route no matter how much space it burns. ​The Snail is tied for the slowest Curve with the Robot. 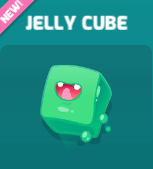 Also, it's tied for the thinnest Curve and smallest holes with the Jelly Cube ​as well. It's essentially an upgraded Robot, ​just like the Ghost is an upgraded Lizard.​ The Snail, without a doubt, gives you the ability to burn your space extremely slow - better than any other Curve can. Unfortunately, one threat of course is being outpaced by 12 of the 14 other Curves! But even then - if a faster Curve tries to end its death they'd have to do it very intelligently because finding an escape route would be incredibly easy due to Robot's slow+thin combination. The Snail also leaves really small holes, but don't worry, even the fattest Curve - the Snake can still fit through it believe it or not - its been tested! To Unlock: Had to purchase coins or premium in Curve Fever 2 in the months leading up to Curve Fever 3 release. 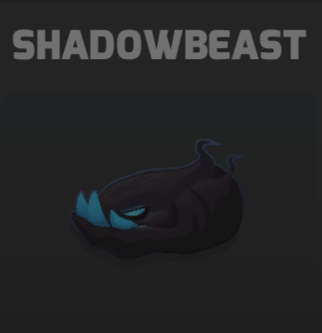 The Shadowbeast is a very unique curve. The entire curve is black - besides its upward-curving slangs and sharp eyes. It doesn't matter what color you are, you'll always be camouflaged into the grey background underneath. If other players aren't focused the Shadowbeast ​will cut you off with ease. Although it's artistic design and hiding ability give it a competitive advantage over any other Curve, its stats aren't exceptional to the rest. Ultimately though, the Shadowbeast can win against other Arena 3 Curves if played intelligently. Very nice guide and very well written! 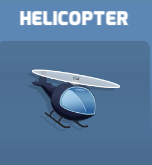 However the last sentence in the helicopter section does not make any sense. Can you explain why my shop looks like this? @BAXUID looks like you unlocked some heigher tier curves by winning in a high arena (iirc ghost, dragon and rocket require a win in Arena 3) but you haven't won a game a game in the lower arena (probably arena 2) yet. Note that they recently changed which snakes unlock for which arena so that's when things might have gotten jumbled up for you. Just try winning in every arena and you should get the missing curves unlocked. When you try to judge the quality of the curves you have to realize that not all of the stats are "more is better" types. I think for a somewhat experienced player thinner curves and smaller turn radius are a direct upgrade. However speed and hole size are both sort of double edged swords and their benefits ultimately depend on playing style and specific situations. Small holes make it easier to protect yourself and to cut others off, which is useful in the early game. However they also make it easier to cut off your own escape route which is especially dangerous in the late game. Same goes for speed, which I think is the most obvious. Being fast (especially the rocket) makes it easy to hunt people down while there is still a lot of open space. This is a curve for people who like to play aggressive. Conversely the snake can be hazardous in the beginning and you have to make sure to stay away from people. It's basically the ultimate camper curve. 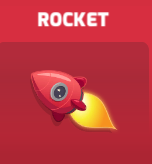 I haven't played the rocket yet but I expect it will be the most difficult to learn but also the most rewarding once you're good at it. Personally I think there is a happy medium with turn radius. If you have a large turn radius it will be difficult to turn in high-traffic areas. If you have a really small turn radius your curve will be really key-sensitive (unless it's a really slow Curve). Makes sense that learning to use the Rocket would take skill because greater speed requires less time in decision making. Also, because you are going so fast you will burn out space quicker - therefore it's important to maximize the space that you have in the most efficient way possible to prolong life. 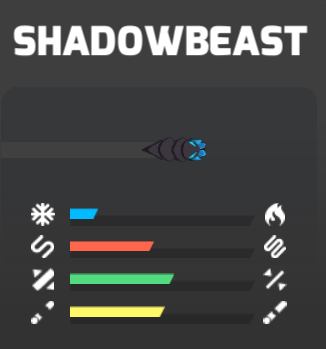 For anyone that is interested, these are the stats for the Shadow Beast curve. Really wish the stats were digits instead of ony bars, like a scale of one to ten or something. 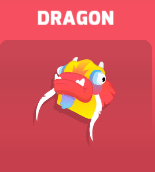 I was thinking cube would be like a super thin tight dragon, but looks like cube doesn't have quite as tight a turn radius as dragon? 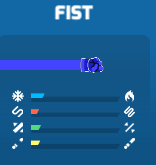 SOrry hope this isn't too spammy, just wanted to condense so I could see the bars right next to each other to compare stats to what I already like playing with the most, and figure out which one next. Thanks for this Incred. It is super hard to compare in the game, because you can only expose one skin's bars at a time. The most interesting wrinkle in cf3, upgrading these things. Super fun. ​​Thanks for the idea lupine. I included all the pictures for faster comparision. Hey I see new curves there, in the game store, a star and something else. Stats arent available on those yet are they? Hoping one of them is as thin as snail with the turn radius of dragon. 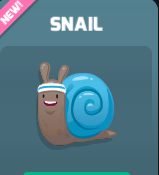 THat's really all I miss about dragon, now with snail. @lupine Haha - it's a suprise for now. I can see that being a very effective combination though. Oh ok lol. Because the arenas where you earn them aren't even in effect yet. But even then - if a faster Curve tries to end its death they'd have to do it very intelligently because finding an escape route would be incredibly easy due to Robot's slow+thin combination. ^ I think this is a typo becuase this was said in the Snail's description. Will there be new curves in the future?